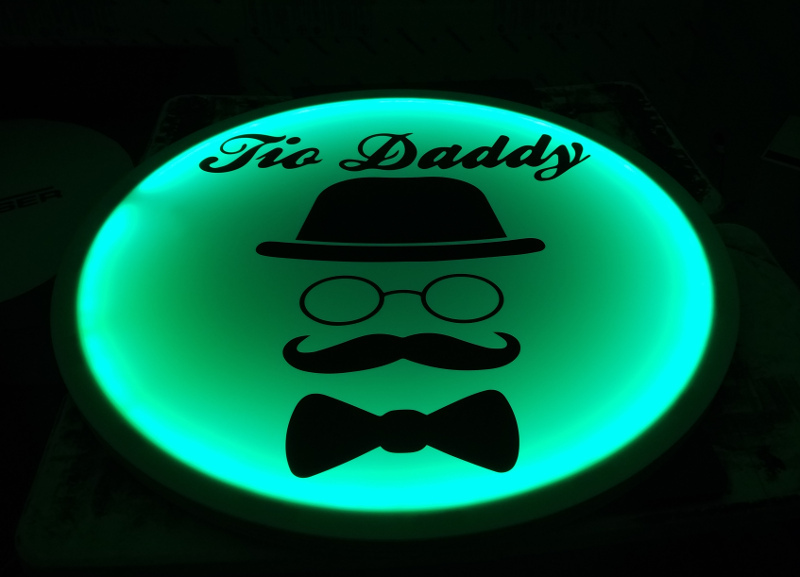 Decorate your restaurant, bar, night club, event hall or retail establishment with our circular illuminated LED glow signs. Standard size is 42" diameter, but available in other sizes as well. It features a 1/2" plywood back that makes it easy to mount anywhere indoors you like. While turned off, it features a white acrylic finish with black lettering/logo. Color Changes with a remote control.